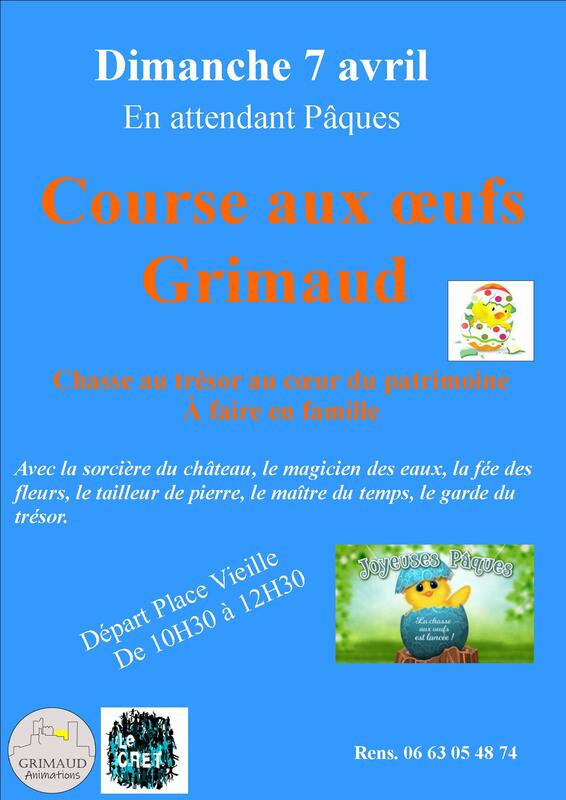 Egg race "Waiting for Easter"
Family activity in Grimaud to discover the heritage. Take part in a treasure hunt by discovering or rediscovering Grimaud, to open the treasure chest ... in chocolate! Meeting point, Plave Vieille at 10:30.